Victoria Centre holds an Annual Messier Marathon each Spring at the Victoria Centre Observatory (VCO), and its environs, on West Saanich Road. Start is about hour before sunset and finish is the following morning at dawn. Come one, come all, but keep in mind that because of our License to Use Land Agreement with the National Research Council (NRC), all participants must be members of RASC, and must be enrolled on the Active Observers List. Notices for practice sessions will be scheduled ahead of time (weather permitting), and will be posted to the Active Observers email list. Because no single location on Observatory Hill is optimum in terms of being able to see in all directions, we contemplate at least one move during the night. We will start at the site of our VCO observatory, from where we will have a good view of the western horizon and M74 and M77 as they disappear from view, along with the Sun. From the VCO site, we ought to be able to observe for another hour (after all, there are M31, M33, M32, and M110) before moving our gear to the lower parking lot, which affords a grand view to the North (you can see Grouse Mountain in Vancouver), East (you can see the refinery in Anacortes) and South (Port Angeles). There is lots of information on the Internet about running a Messier Marathon, to say nothing of the information found in most basic observing handbooks. We have looked at a lot of it, and rather than duplicating the fine work done by other observers, we are just going to borrow from them shamelessly. We hope that our members who are conducting their marathons elsewhere will use whatever information we have gathered that they find helpful. Dress warmly! In particular, you will freeze to death without a hat. To increase your chances of finding objects, you must plan, must plan, and must plan. See the log sheets and finder charts mentioned below. We will have enough trouble with light as it is, so dark adaptation is crucial insofar as locating at least half of the Messier objects. That means we will have to be careful with our lights. Even a bright red light can destroy dark adaptation. 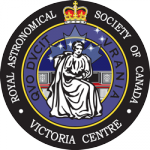 This event was posted in Observing by RASC Victoria. Bookmark the permalink.